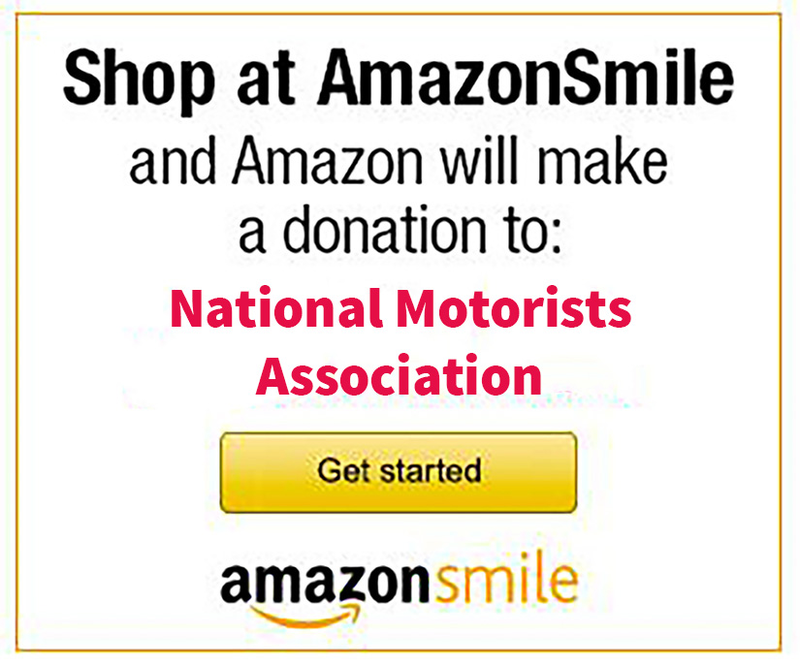 Every year, the National Motorists Association and the nonprofit NMA Foundation hold separate fundraising campaigns. The proceeds help resource the ongoing mission of both organizations: To champion the rights of motorists. To spark interest for each campaign, a special sweepstakes contest is held where the winners, chosen by random drawing, can partake in a unique experience. For instance, we are in the midst of the 2012 NMA Foundation campaign. Those who donate $40 or more to the Foundation by December 31, 2012 will receive an entry into the sweepstakes, with larger donations in multiples of $40 increments resulting in more contest entries. This year, four lucky sweepstakes winners will choose their own driving experience behind the wheel of a NASCAR stock car, an Indy race car, or another exotic motoring machine such as a Ferrari or Lamborghini. The grand prize winner of last fall’s Foundation sweepstakes, NMA member Bruce Farr, recently returned with his wife Gail from Germany, where they had embarked on a seven day, six night driving tour of the German countryside. The tour began in Frankfort and wound leisurely through several historic towns and centuries-old castles until culminating in Munich. The tour was sponsored by the NMA Foundation in conjunction with DriveEurope.com, a company that specializes in organizing unique European driving tours such as the Romantik Road Special that Bruce and Gail enjoyed. We have partnered with Hubertus at DriveEurope several times and on each occasion, our contest winners have had high praise for how the arrangements were handled and for the quality of the experience. Everything worked perfectly with getting the car, hotels, tickets for attractions, etc. The Romantic Road was really interesting and the towns for stopovers, along with the hotels, were really well chosen. The amount of time allotted for each town and getting from one to the other was just comfortable enough to be relaxing, without any panics or rush. We could easily have spent another day at a few places such as Rothenburg, Garmish, and especially Munich where we had an afternoon and evening. We were late getting into Frankfort due to weather, but the car rental was very efficient. They found us an Audi A4 Avant — I know the NAV system in those because I own a couple of Audis myself — and provided us with a Nuvi GPS unit as well when they could not switch the car system to English. The Audi was very impressive. We had the latest iteration of the 2.0 Turbo 4 that had amazing low-end torque and long legs for the Autobahn, as well as being very fuel efficient in the 30 mpg range. Ninety mph on the Autobahn in a drizzling rain was pretty interesting, particularly among like-minded drivers ALL PAYING ATTENTION. It is really interesting to see the contrast between German driving and what we see here in the U.S.. The Germans stay out of the left lane, looking ahead for the next cluster of traffic, and watching rear-vision mirrors. I felt safer with cars going by at 120 mph that I do on a typical U.S. highway in the 60 mph range. The Romantic Road trip was quite special, especially the time in Rothenburg and Fussen, which was close to really interesting castles, churches, and the Alps. Each little town had its own charm and variation on the centuries-old architecture. A small loop through Austria to Garmish was fun, as was the trip to the top of the Zugspitz by cog railway, and down by cable tram. An afternoon in Munich was better than expected. That is a city to return to another time to explore more thoroughly. Thank you to the NMA Foundation and DriveEurope for organizing a really nice and memorable trip. And thank you to Bruce and Gail Farr for being great NMA and NMA Foundation supporters over the years. Nothing pleases us more than to report the details of such a wonderful experience by our members.